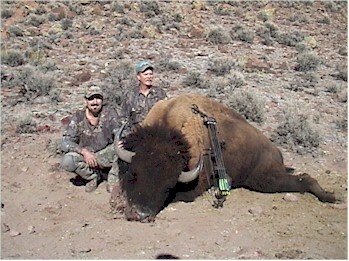 Art Bauer and John Ray with Trophy Bull. This bull scored 4 inches bigger than the current bow world's record--just wish he had been qualified. On 62,000 acres it sure looks "free ranging".